Lecanto, Fla. – Escalante Golf – owner and operator of luxury golf properties – has acquired the stock and assets of Black Diamond Properties, Inc. Black Diamond Properties operates Black Diamond Ranch and last year began the search for a new investor. Black Diamond Ranch was the vision of Stan Olsen, who founded the Citrus County-based golf club community in 1987. 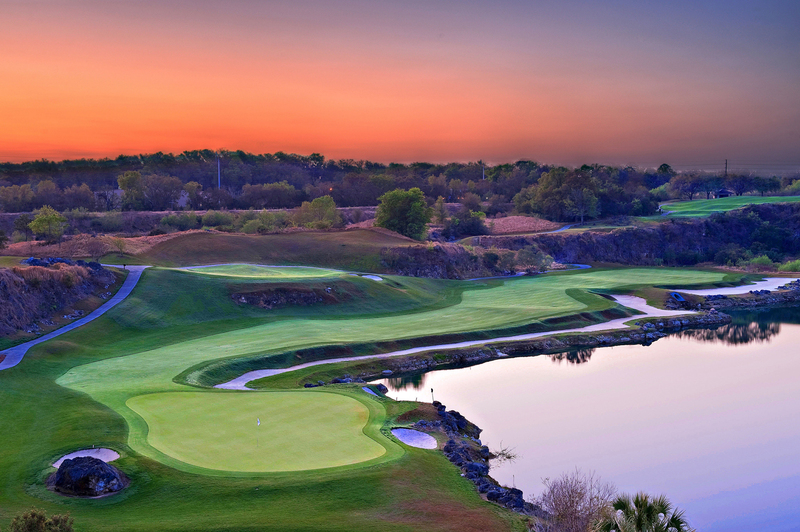 Olsen embarked on creating one of the premier golf pantheons of the world, hiring Tom Fazio to pull off one of the greatest golf design feats in history – forging the Quarry Course through the steep cliffs and lakes of two retired limestone quarries. The course has been recognized by Golf Digest as one of “America’s 100 Greatest Golf Courses” for 20 consecutive years. Following Mr. Olsen’s decision in 2010 to retire, he sought new investors who would share his vision for the community and had the capacity to implement a successful long-term strategy for Black Diamond Ranch. Featuring holes Nos. 13 through 17, which famed golf writer Dan Jenkins called “the five best consecutive holes in the world,” the Quarry Course was a game-changer roughly 25 years ago and remains one of Fazio’s seminal works. The acquisition of Black Diamond Ranch strengthens Escalante’s portfolio, which has grown from four properties to 11 the past three years. The company currently has some of the most prestigious clubs in their respected markets including Country Club of the North in Beavercreek, Ohio; The Raven at Three Peaks in Silverthorne, Colorado; and The Crosby National in Rancho Santa Fe, California. Dennis Reed of the Plasencia Group, Inc. represented the Olsen family and Steve Ekovich, Director of the National Golf & Resort Group of Marcus and Millichap, represented Escalante Golf, Inc. 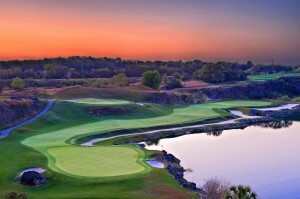 Featuring three Tom Fazio-designed courses – The Quarry, The Ranch and The Highlands – Black Diamond Ranch has established itself as Florida’s No. 1 residential golf community since 1987. The Quarry Course, set amongst limestone cliffs, live oak trees, dogwoods, myrtles and magnolias, has ranked one of “America’s 100 Greatest Courses” for 20 consecutive years by Golf Digest and among the “Top 100 Courses in the U.S.” by GOLF Magazine. Black Diamond Ranch has earned a place on Links Magazine’s list of “America’s 100 Premier Properties,” and is perennially “Top 10” on Golfweek’s “Best U.S. Residential Golf Courses” list. Completed in 1997, the Ranch Course was carefully crafted to gently blend into its natural surroundings. Reminiscent of Pine Valley, the Ranch Course sports rolling fairways and dramatic elevation changes of over 100 feet. With stunning hilltop views of up to 25 miles, the nine-hole Highlands Course (also completed in 1997), is a magnificent mix of lush, rippling fairways, stands of oak and pine, pristine water features and mesmerizing natural beauty. Established in 1991, Escalante Golf is a boutique owner and operator of luxury golf properties nationwide, including California, Colorado, Florida, Ohio and Indiana. Operating partners David McDonald, Elcio Silva, Robert Silva and David Matheson direct the Escalante team with offices in Fort Worth, Texas.